Sassy, smart and definitely the best-dressed fairies in town! At last: the princesses are doing what they do best – staging a fairy fashion show. It’s going to be a catwalk extravaganza. And that means shopping in Sparkle City to find the very best outfits! Their showpiece is an amazing silk dress, encrusted with jewels from Jewel Forest. But moments before the show, they discover that the stunning dress is ruined. 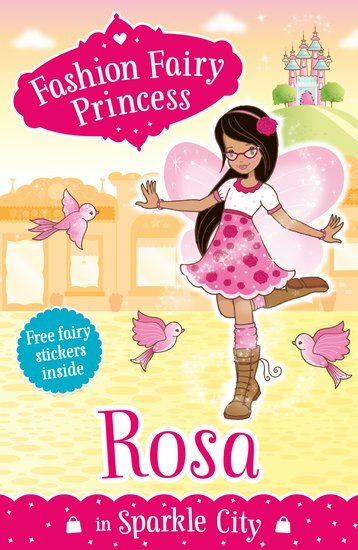 Can Rosa save the day with her awesome sewing skills (and a little bit of magic)...?